Having an emergency spill response plan is a crucial part of any company’s safety and health program. Employers should have an action plan, have appropriate sorbents available and personal protective equipment for workers involved in cleanups. It is important that appropriate spill containment supplies are available to properly contain or clean up spills. Containment supplies may include various sorbents and tools. These supplies should be chosen according to the types of spills that are likely to occur within the workplace. Some tools that might be included would be drain plugs, chemical neutralizers, brooms or mops in addition to some type of sorbent. Sorbents are categorized into three categories: universal, petroleum and maintenance. They are made from different materials that are designed to soak up spills. A universal sorbent can be used to absorb most liquids, including aggressive acids and bases. But it can also be used to clean up gasoline, cleaners or water-based fluids. Universal sorbents are usually made of expanded silicate materials or surfactant treated polypropylene. 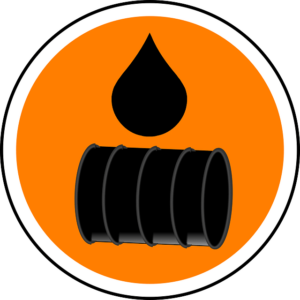 Petroleum sorbents are meant to be used to absorb oil or petroleum-based liquids. They cannot absorb water. This makes them ideal for absorbing petroleum-based spills on water or for cleaning up hydraulic or engine-oil spills. These sorbents are made from treated cellulose or polypropylene. Maintenance sorbents are used to absorb non-aggressive fluids that are used on maintenance or manufacturing operations. Oil-based or water-based fluids may be picked up by this variety of sorbents. Recycled materials, including cellulose, corncob, wool, or cotton are usually used in making maintenance sorbents. All steps should be taken to control the release of hazardous substances in the event of an emergency to minimize exposure to workers.